Tom Brady's preferred center, David Andrews, has won the job. Bryan Stork was released this morning, per source. I am not going to say I didn’t see this coming, but I am going to say I am kinda bummed out. I really liked Stork. 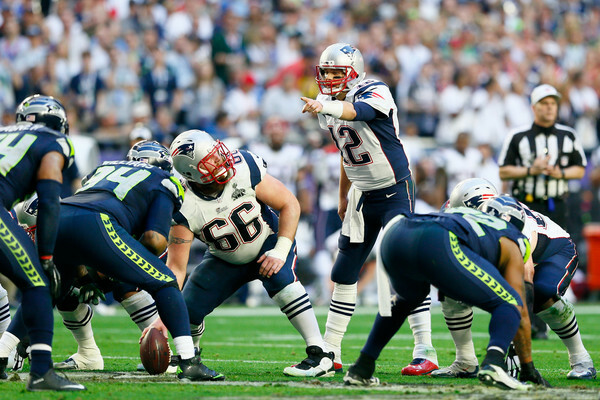 During that run to the Super Bowl in 2014, Stork was the guy who was injected into the starting line that solidified the whole group. Bryan Stork, the guy who was Jameis Winston’s starting center at Florida State and won a National Championship. And then followed up that season by then winning a Super Bowl Championship the next year. The guy seemed like a winner. The guy seemed like the franchise center that would be a building block on that offensive line for years to come. And now he is looking for a job. Who would have thought that undrafted free agent David Andrews would eventually beat out Stork and make him expendable. And hey, like I said, I am not really surprised, Andrews has started all the preseason games. He also did great last season. Stork also has a concussion issue including getting one just a couple weeks ago. He also has an anger issue referring to him getting in fights during practices with other team’s players and also his own teammates. But after all of this, I will say, Bryan Stork you will be missed. Good luck. P.S. Oh and 11 year veteran Nate Washington also got cut. The guy who puked during training camp this year and never touched the field again. Ya good luck to him too. Wow. #Patriots didn’t cut C Bryan Stork after all… they traded him to the #Redskins, source said. That was unexpected. The #Patriots traded C Bryan Stork to the #Redskins in exchange for a conditional draft pick, source said. Deal being worked out now. Next Should The Patriots Target Josh Gordon?